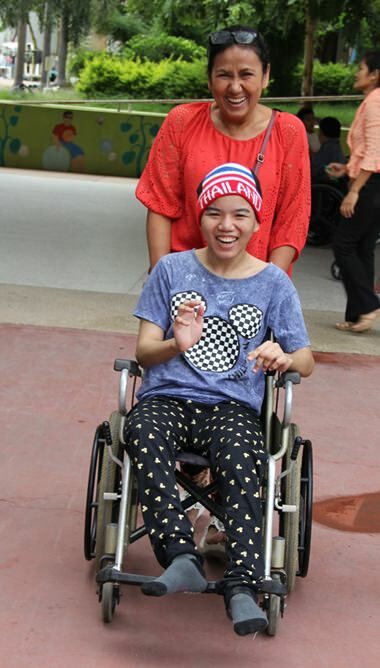 They may have had smiles on their faces, but behind the smiles it was easy to see just how nervous the fifty potential students were as they arrived in Pattaya to apply to study at the Redemptorist Vocational School for People with Disabilities. From all over the country they came, arriving in the back of pick-up trucks, taxis, overnight buses and riding on the back of a motorbike, with just one aim; to impress the teachers at the school that they should be accepted as a student when the new term starts in early November. A protective father keeping an eye on his son. 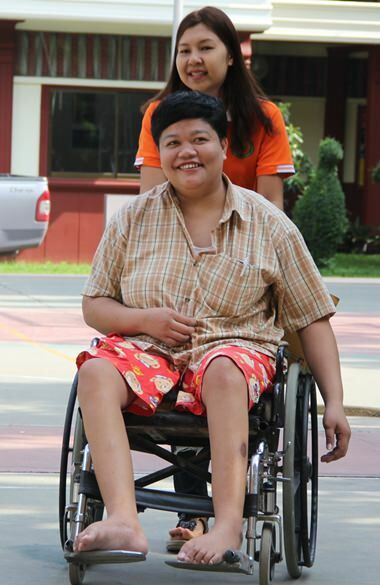 Since 1984 the school has offered vocational training for people with disabilities. 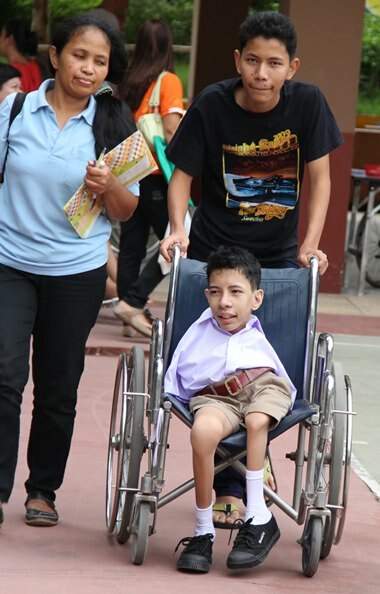 For the first twenty years the majority of the students had a physical disability, but in recent years the number of students with a physical and an intellectual disability has grown. But whatever their disability, the school will offer a course that is suitable for them, and, if they graduate successfully after two years, they are guaranteed to have a job when they leave. Students will live at the school for free. There is also no charge for the education, medical support and the three meals a day they will eat. All the school asks from the students is for them to study hard and respect the school, and in two years time their life will have changed more than they could ever imagine. He has a disability, but he’s not disabled. Most family members are more nervous than the person applying at the school. Never too old to start learning. They travelled from far and wide to be interviewed.